Estimates show that about half of the population in the Nordic countries now have access to second homes. Along with a growing in-flux of tourists, this creates a significant but irregular flow of people from urban centers to small cities and rural areas that makes it increasingly difficult to plan and develop the appropriate services and facilities. Nordregio is currently researching the consequences of growing flows of people from urban to rural areas to assess the impact on small municipalities required to handle this influx. – On the one hand, tourists and second home owners bring in lots of new business, but on the other hand they do not pay any income tax and the often very significant seasonal change in residents pose huge challenges for local planning, says Nordregio Senior Research Fellow Elin Slätmo. Rural locations attractive for seasonal tourism include the coast line of Denmark and Finland in the summer as well as ski-resorts in Norway and Sweden in the winter. In Iceland, the tourism sector has boomed beyond seasons in the last decades. On top of this residents in the bigger cities increasingly rent or own cabins and second homes in rural areas all over the Nordic Region. In Iceland, the rapidly growing tourism has turned into a year-round phenomenon, much of which is focused on a small part of South Iceland. Tourism coupled with second home owners often become the backbone of the local economy, but also puts a strain local life. For periods of the year there is a high demand on public transport, housing, care, commercial goods and services, culture etc. But after such peaks follows a drastic drop in the low season, for better and for worse. – Sometimes we need to remind the permanent residents how important the second home owners are for the local community. For instance, when the locals are eagerly waiting for all the tourists to leave the city at the end of the season, so they will not block the bakery queue, we remind them that they would not be standing in the queue at all if all the tourists would not come here. Because there would be no bakery. It is that simple, he adds. Regulation becomes a big issue, especially to secure a well-functioning local community. 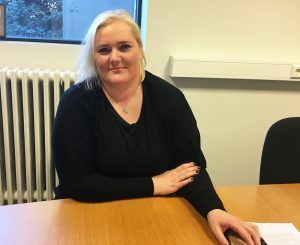 The Icelandic Tourist board has asked all seven regions in Iceland to create their own Destination Management Plans, but it is not a simple task and it often ends up involving the local residents themselves more than the tourism profession. – We did a plan for the entire South Region, and then divided it into three action plans; one for each area. When we started, it was mainly aimed at the tourist industry, but a lot more people from the area got involved, so we tried to include everyone, says Laufey Guðmundsdóttir from Visit South Iceland. – Interestingly, it was not all about the tourists themselves, but also about road maintenance, the police and the healthcare system. Because having so many extra inhabitants who are not registered here adds extra pressure on all these services, she continues. The flow of people between larger urban centres and rural areas also becomes a question of both taxation as well as representation. 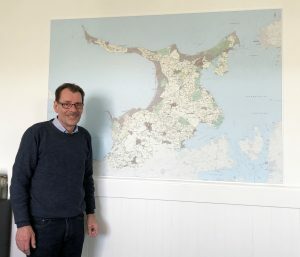 – The number of second home rentals started to grow a couple of years ago, according to Rúnar Guðmundsson, a planner in Umhverfis- og tæknisvið Uppsveita, the joint planning organisation for municipalities in South Iceland. – There are fewer of us living here permanently than there are summer house owner and they would like to have more influence, he adds, pointing to yet another aspect of the challenges linked with what can maybe be seen as blurring distinctions between the urban and the rural. Nordregio’s study on the challenges posed by urban-rural flows of seasonal tourists and second home owners is expected to be ready later this year. It is part of the work of the Thematic Group for Sustainable Cities and Urban Development funded by the Nordic Council of Ministers as part of the Nordic Co-operation Programme for Regional Development and Planning. – We have already learned a lot about the regional challenges linked to seasonal flows of people during our study trips so far and look forward to mapping out new territory, says Elin Slätmo, who is visiting Pargas in Finland with her team this week. The team also did case studies in Nore and Uvdal in Norway as well as Härjedalen in Sweden. In connection with the work on the project, Slätmo found a report in Nordregio’s library on planning recreational areas dating back to 1970 when second homes and tourism in the Nordics was a quite new phenomenon. The report states: “(…)The regional authorities are anxious to plan for tourism according to its conditions. That will mean planned localization and dimensioning of the areas and structures of recreational dwellings and out-door activities regarding transport, water supply, sewage techniques and environmental aspects. (…)”. Hopefully, our new study can add to this historical perspective. From left, Rúnar Guðmundsson (Umhverfis- og tæknisvið Uppsveita), Ása Valdís (Grímsnes og Grafningshreppur municipality), Ingibjörg Harðardóttir (Grímsnes og Grafningshreppur municipality) and Johannes Lidmo (Nordregio).